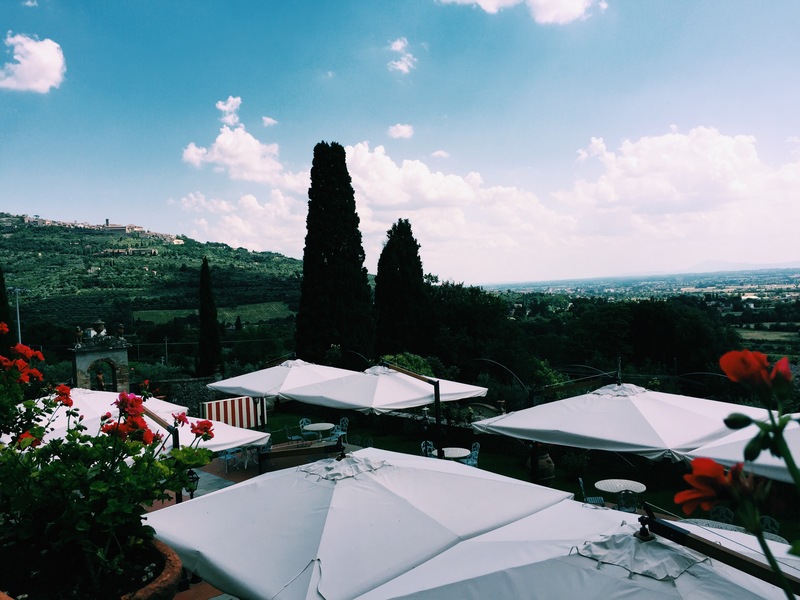 After spending the morning taking a long walk around Cortona (missing our walks through Athens @eliza), exploring an antique market, and working on some stuff for graphics, I made the executive decision for some R&R at the vineyard. Our art history professor organized a tasting for about 25 of us at Baracchi winery at the base of the mountain. We hopped in a cab and took some twisty turns, then arrived at the gates of heaven. We were greeted by the owner, Benny, who explained to us that the vineyard has been in his family for 9 generations. “Short tour or boring tour” he questions, a faint gleam in his eye. We all looked around, not during what answer was correct. He laughed loudly and began telling us the process on how he makes the wine. 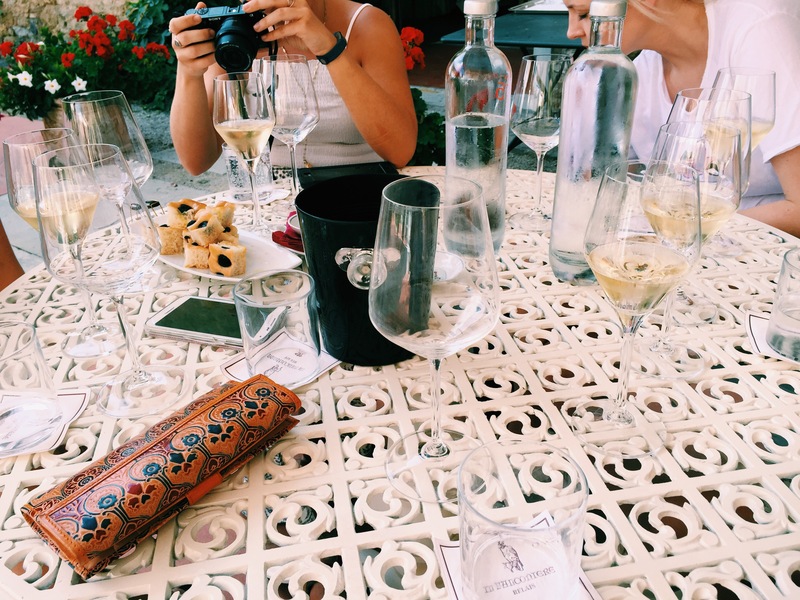 Turns out, I actually learned something….and not just what good wine tastes like! This particular winery makes a sparkling white similar to champagne but significantly better. It’s called Brut Trebbiano and the process to make it is time consuming and extensive, but dang was it worth it. They start by pulling the grapes off prematurely and bottling the pressed grape juice. 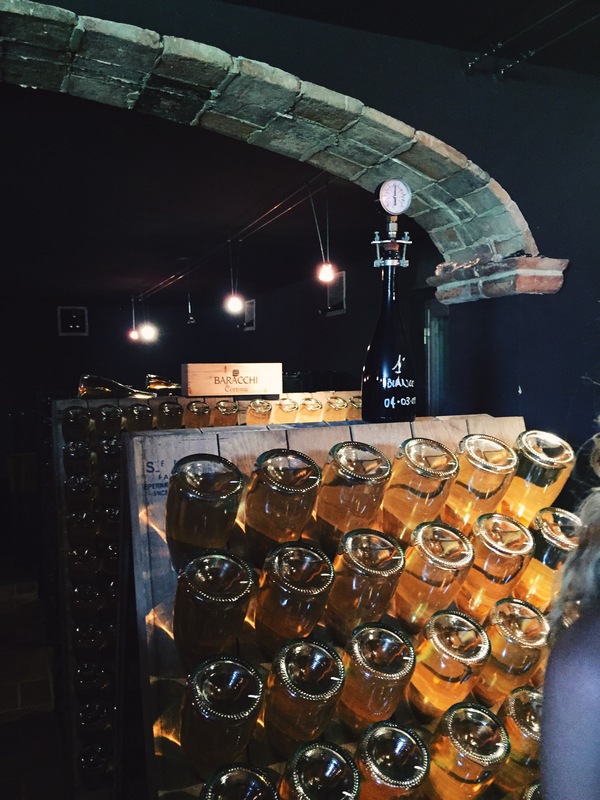 For about 6 months, the wine bottles are places in this cellar where fermentation occurs. Everyday, again for 6 months (I’m trying to drive this point home), someone goes in and turns the bottles 4 times to the left and 4 times to the right-to ensure even fermentation occurs! The sediment eventually settles in the neck where it is frozen then removed. The finished product is then aged for 3 years. After the tour of the cellars, which still require the original huge metal keys to open, Benny took us downstairs to the vineyard’s onsite restaurant. We began, of course, with the Brut Trebbiano and some bruschetta-since Italians believe you can’t enjoy wine without food!! We moved on to a nice, dry white, then o’lillo Toscana, then a Syrah-which was the reserve, and finished strongly with Ardito-50% Cabernet, 50% Syrah. Wow. Best part was it was only €15!! We took the winding road back up to Cortona and found a crepe place for dinner. Mozzarella di Bufula, roasted tomatoes, and basil were overflowing from this savory crepe. Before coming here, I was not a huge tomato fan….now I enjoy them raw (if you know me this is shocking). To top off this perfect day, I ordered the flourless chocolate cake. This slice of cake is the sole reason people should travel to Cortona. It was a rich, fudgey, dark chocolate slice of happiness. If it wasn’t frowned upon, I would’ve licked the plate. Seriously Food Network’s Best Thing I’ve Ever Ate needs to do a segment on this. And now I struggle with having to go back to the real world of classes tomorrow. Who am I kidding…real world!? Every day I wake up and look out the window in front of my bed and think wow this isn’t a dream. It still amazes me how that even after a month, I still find new things everyday and there’s still more to discover! If you have the chance, get out, explore, see the world! Try some place new for dinner, run that extra mile, go to local hotspots. Whatever it is, get out and do something new. Never lose your sense of wonder, never lose your desire to wander, stay curious, and find the beauty in regular things.